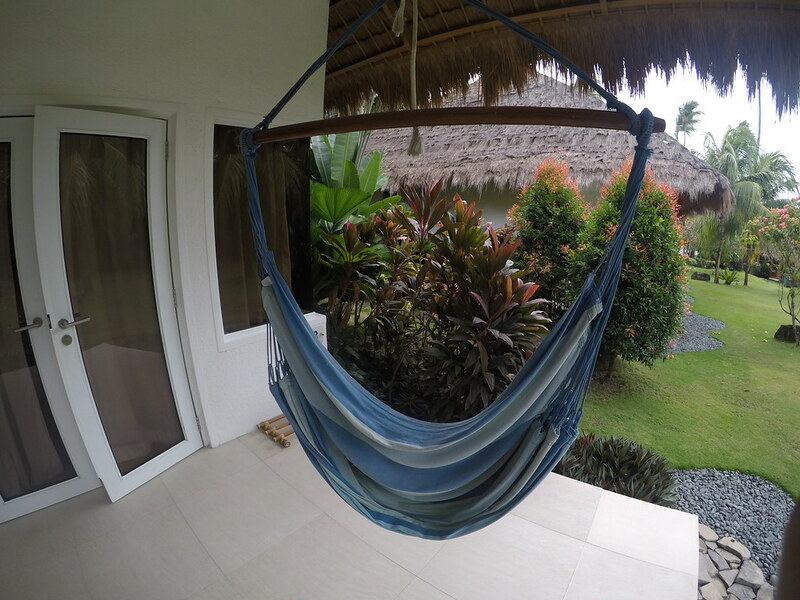 Atmosphere Resort & Spa is possibly the best choice when you are in Negros Oriental and are looking for a luxurious retreat. 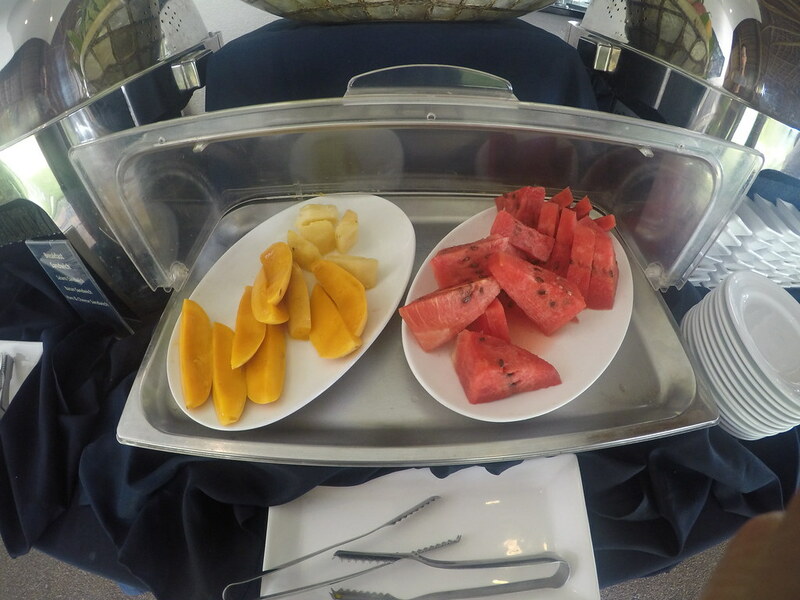 Not only that, Atmosphere Resort & Spa espouses environmental care and sustainability. 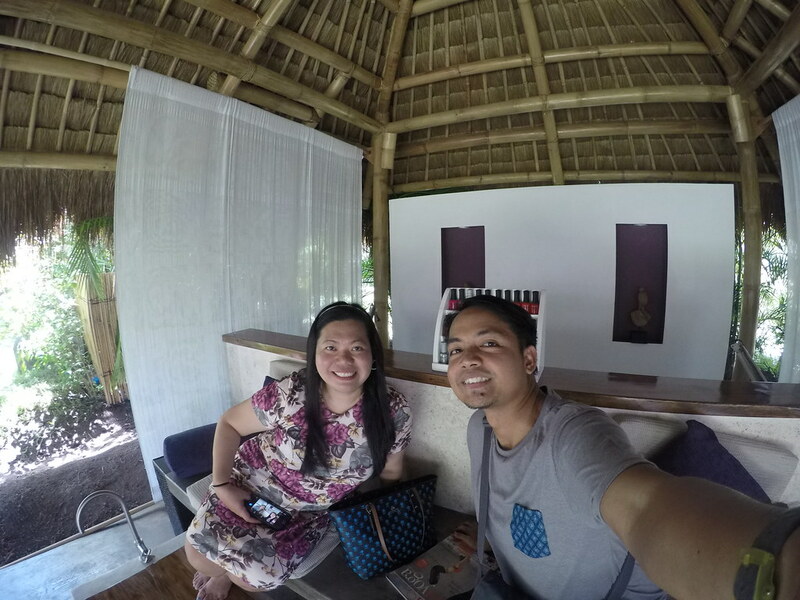 Whenever we travel, it has become a tradition for us to cap our adventure in with an overnight stay in a luxury hotel or resort. It's the perfect way to cap a week filled with activities. 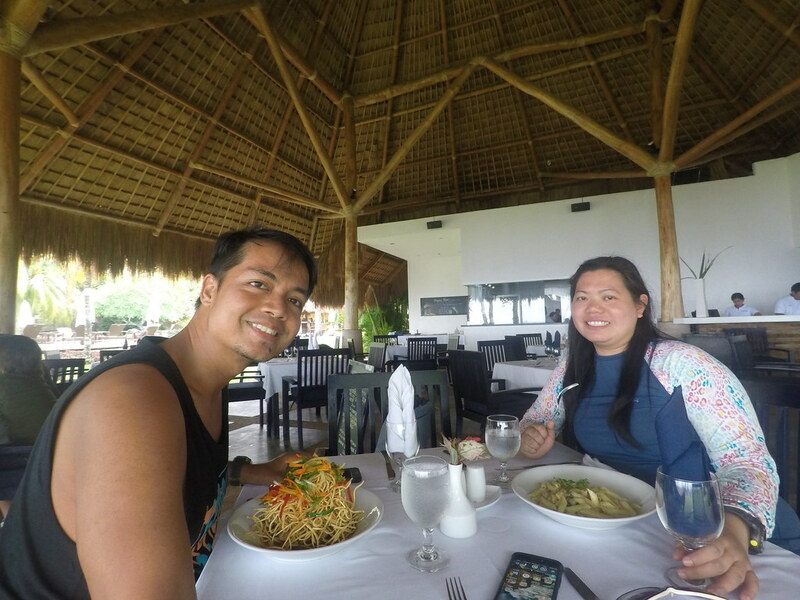 And since we were celebrating our 3rd wedding anniversary, we wanted to splurge in a hotel that was special but worth its price. 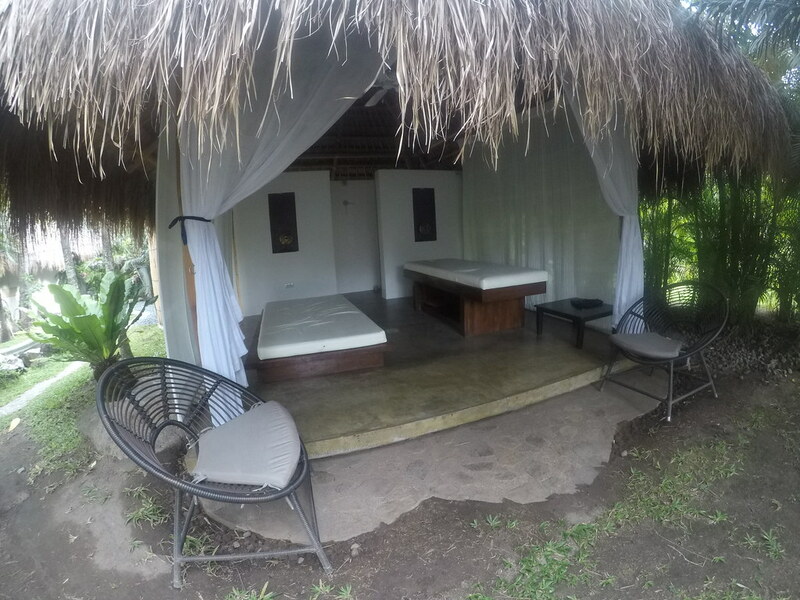 Atmosphere Resorts & Spa was our choice and we couldn't be happier with our decision. 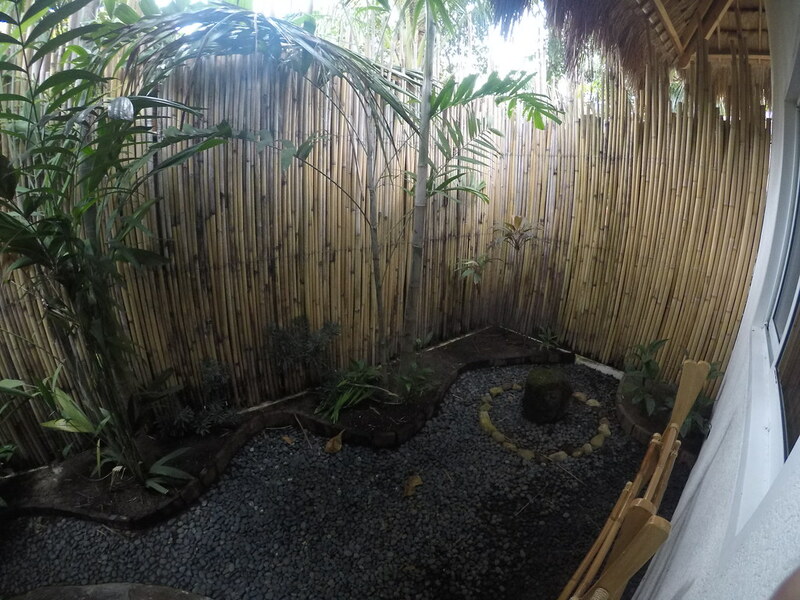 Atmosphere Resorts & Spa is located in Brgy. 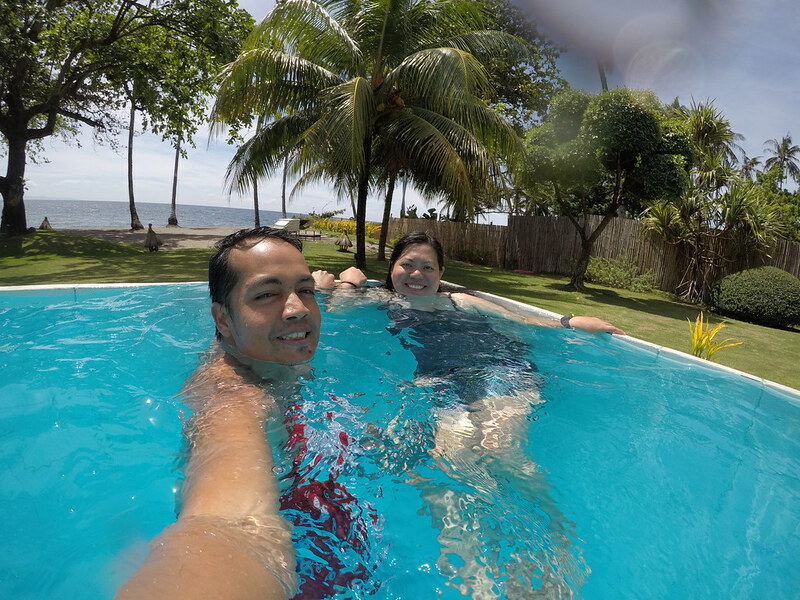 Dauin and is about 40 minutes away from Dumaguete City. 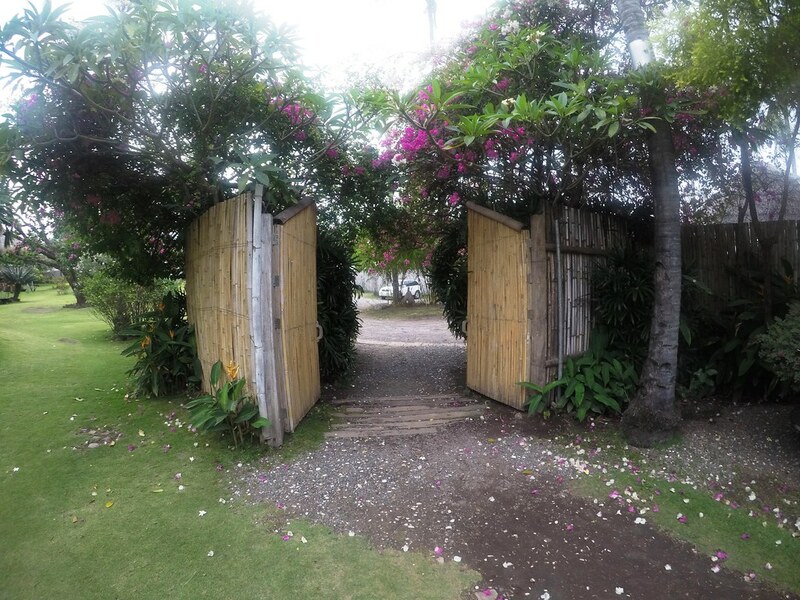 Situated in the heart of a coconut plantation, Atmosphere Resorts & Spa is a sprawling and lush property that is nicely secluded from the rest of the world. 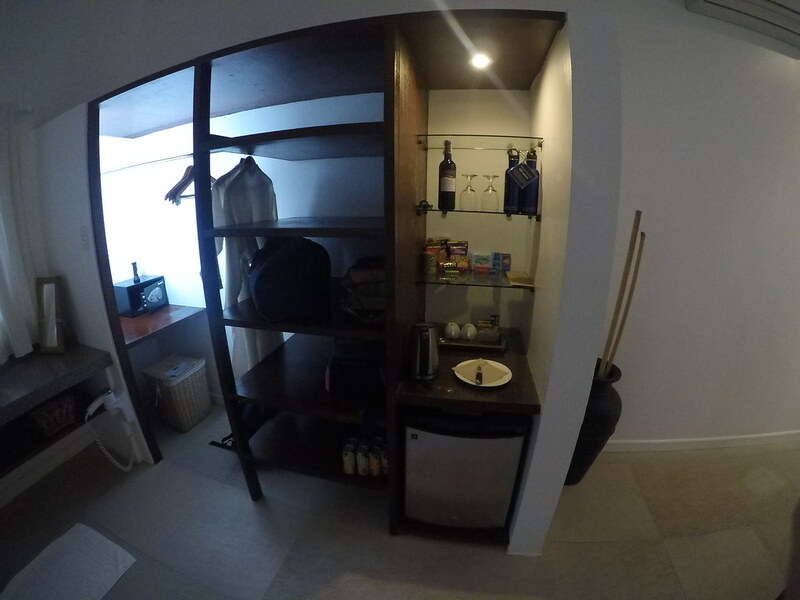 Check-in was a breeze so we wasted no time and immediately went to our Deluxe Suite Room. 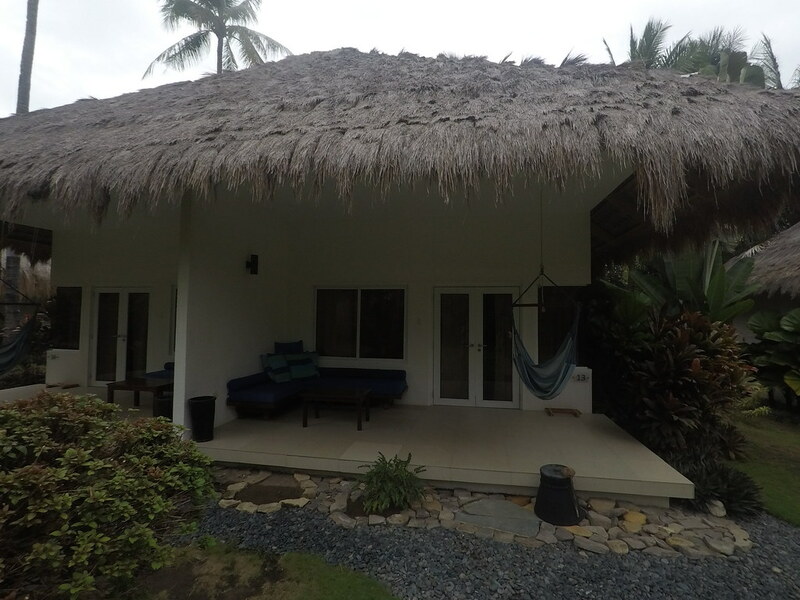 We had a good impression of our accommodation; it was like a bohemian beach house. It had a high-ceiling with the plush, comfortable bed located in the middle of the room. 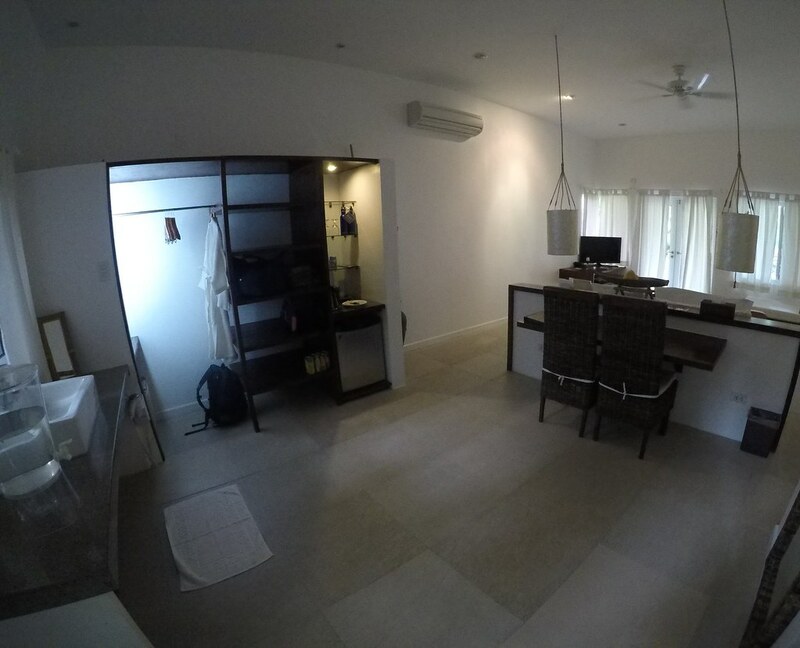 It had glass doors and windows covered by white curtains which you may opt to draw to let natural light in. 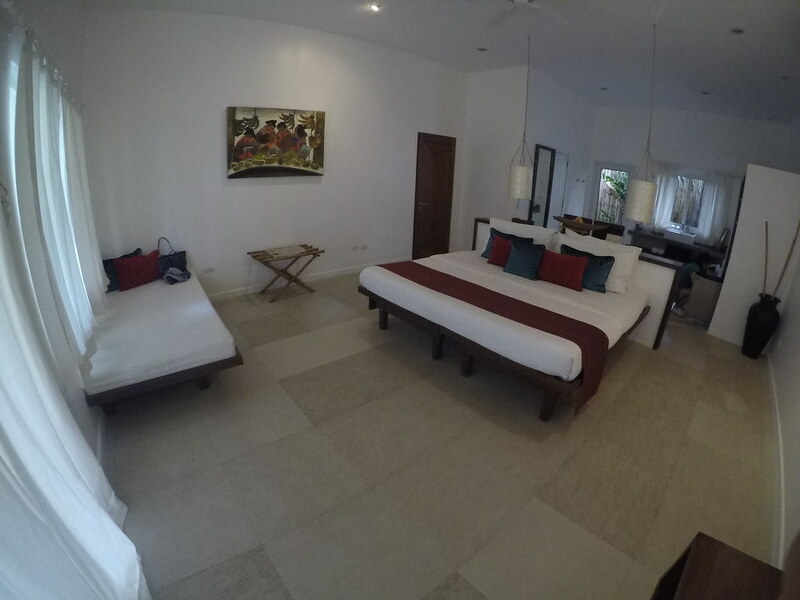 The Deluxe Suite Room is more than adequate for two people. In fact, an additional bed may be added upon request. It had all the usual amenities such as a mini bar and a widescreen TV but perhaps the most distinct feature of the room was the open-air shower. 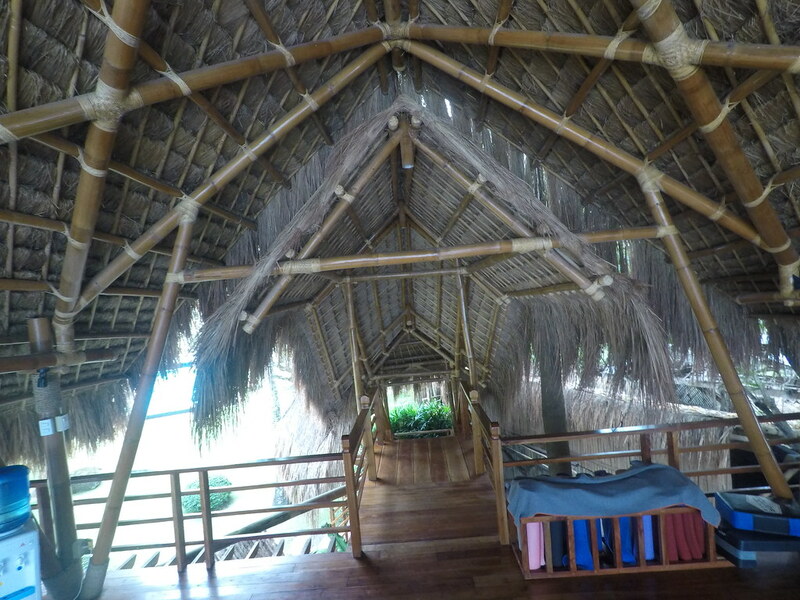 It is located at the back of the room and fenced high with a bamboo wall. Not too comfortable with showering out in the open? 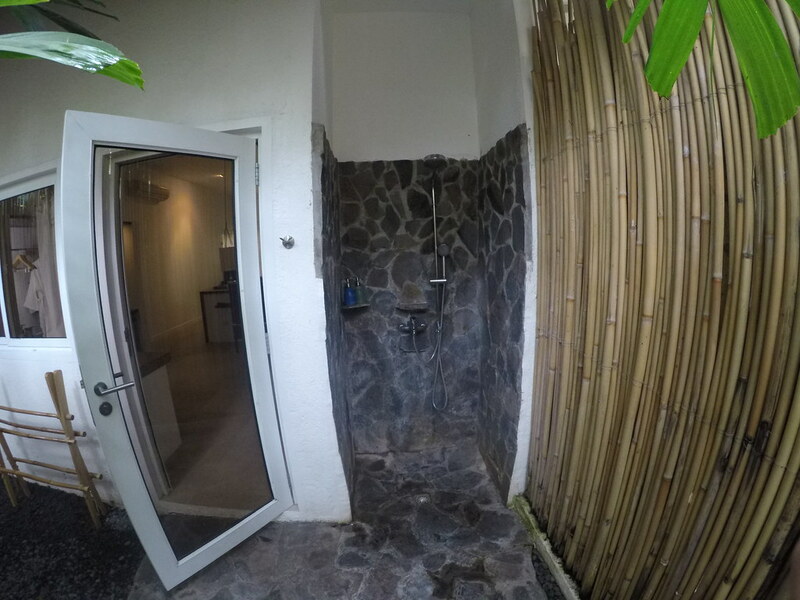 Don’t worry; the bamboo fence is woven tight so nobody can see you as you indulge in a revitalizing shower. 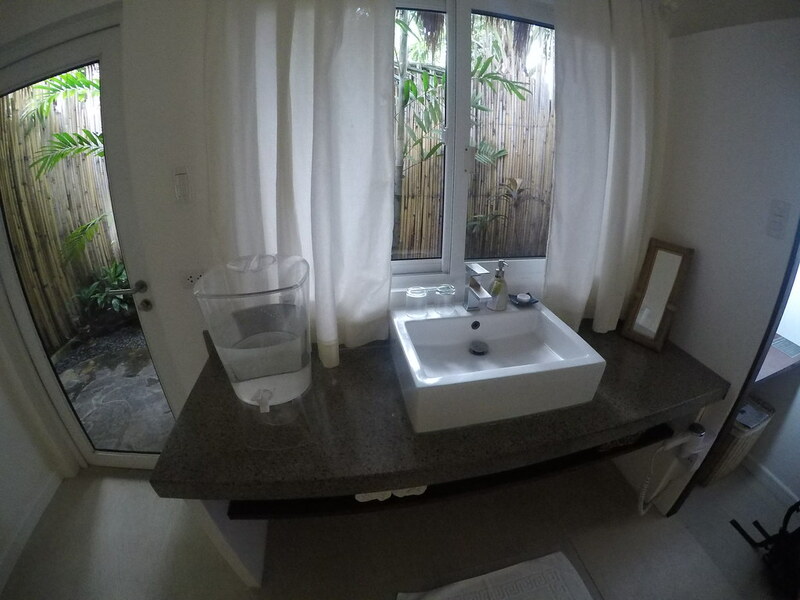 One of Atmosphere Resorts & Spa's advocacies is environmental conservation and this is very evident with the lack of disposable plastic bottles and containers inside the room. What you'll see are reusable ceramic pumps for the shower gel, shampoo and lotion. These toiletries are sourced locally in Negros Oriental and are certified eco-friendly. We are never particular when it comes to bath amenities but we do love the lemongrass scent and slightly cooling mint sensation of Atmosphere Resorts & Spa's bath products. Meanwhile, drinking water is held in a refillable dispenser. And if you want to bring water with you as you stroll around the property, the hotel provides a glass bottle that you can use. 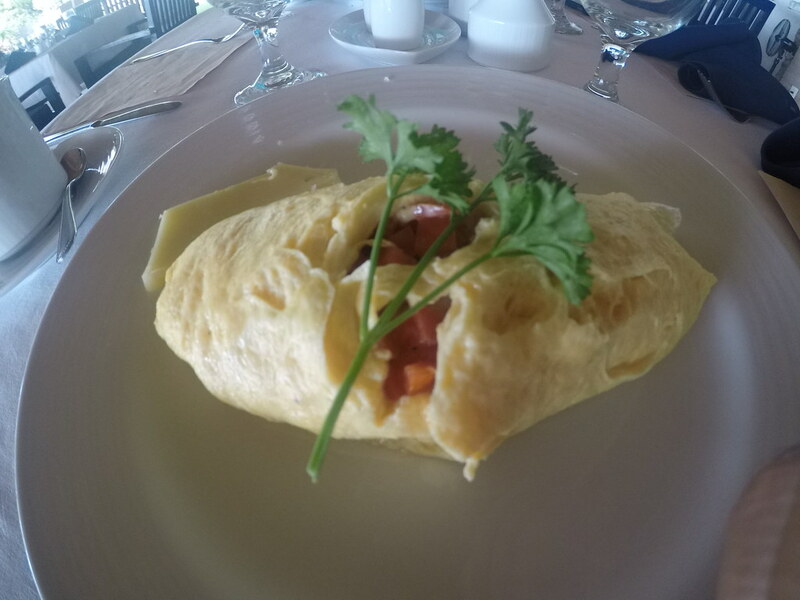 At Atmosphere Resorts & Spa's signature food venue, Blue Restaurant, you may enjoy your meals to the soothing sound of the waves at all times. 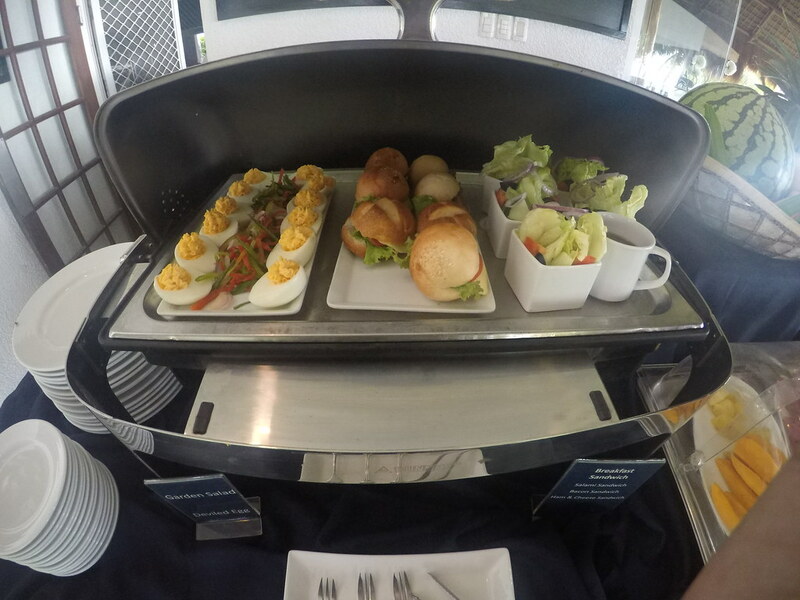 Aside from regular offerings in its menu, Atmosphere Resorts & Spa offers healthy food options for guilt-free dining. 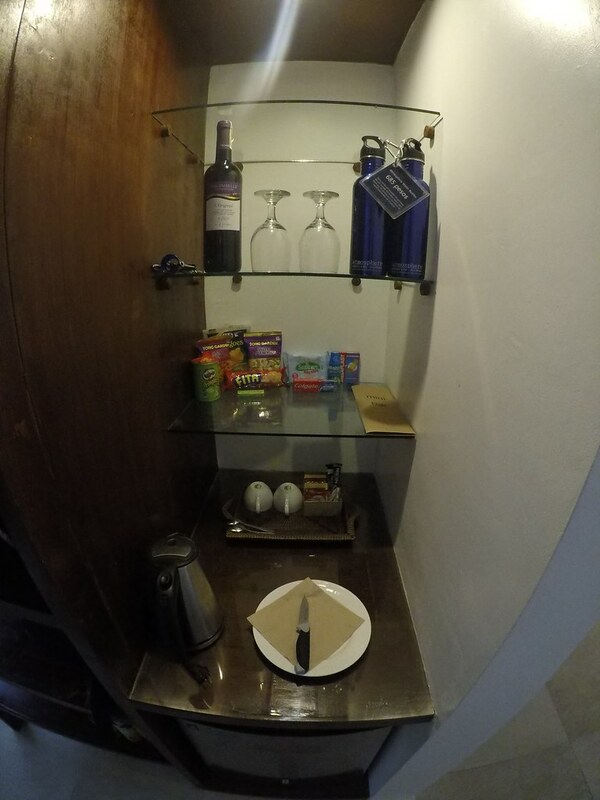 Our accommodation came with complimentary breakfast. 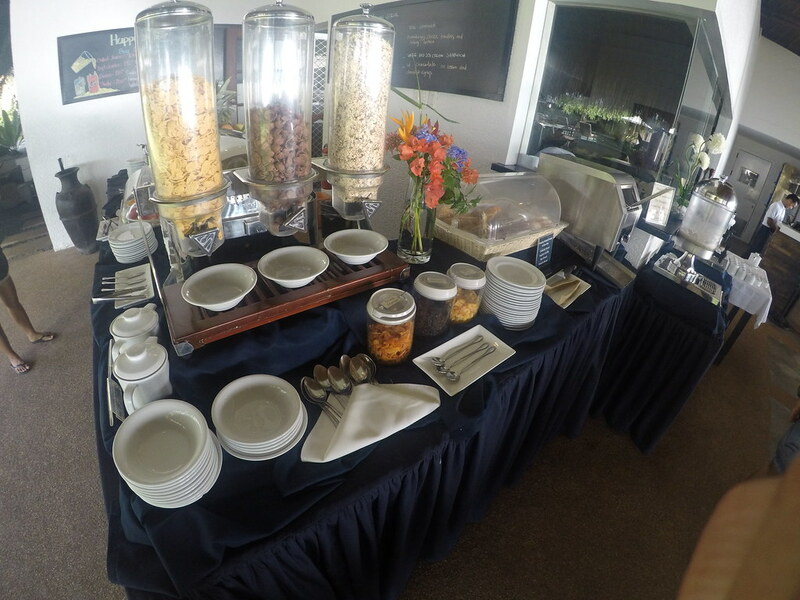 It's not the usual buffet breakfast though because food is not laid out for everyone to take their pick. You'll have to order food from their extensive menu. According to one of the servers, it was to avoid wasting leftover food which we reckoned was indeed a wiser thing to do. 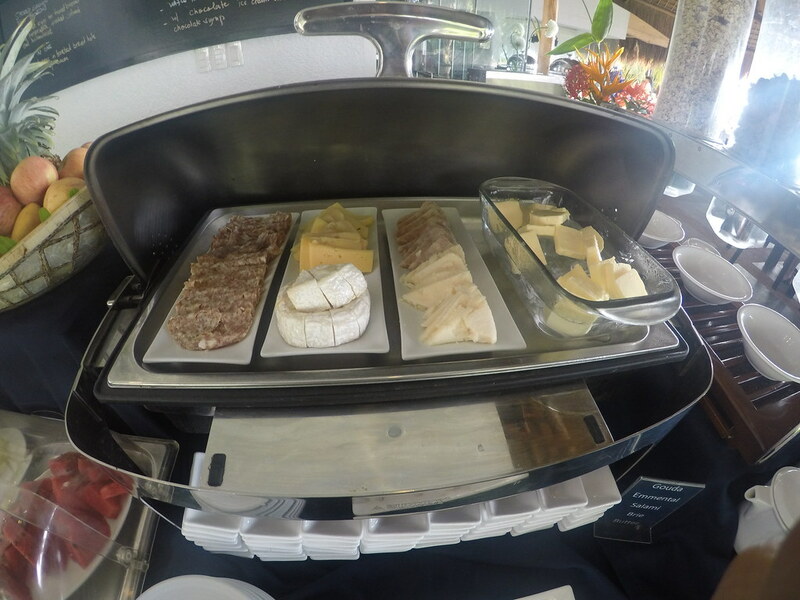 Nonetheless, coffee, juices, breads and cheeses, cereals, and mini sandwiches are available on the buffet table so you are free to get as much as you can consume. We ordered Spanish and Atmosphere's omelets. 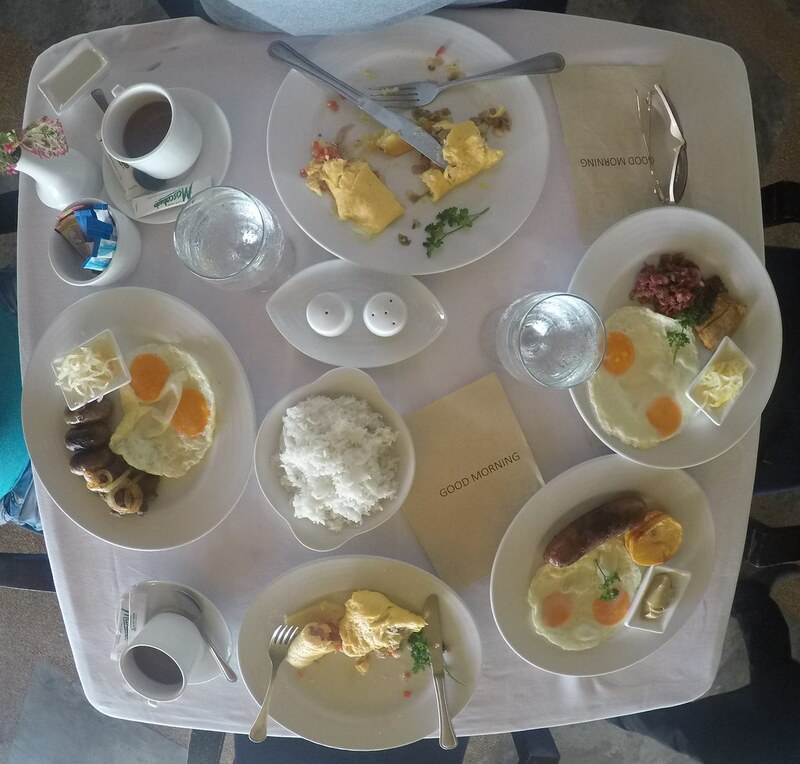 We also got Filipino breakfast with tapa, bangus belly, corned beef and eggs. 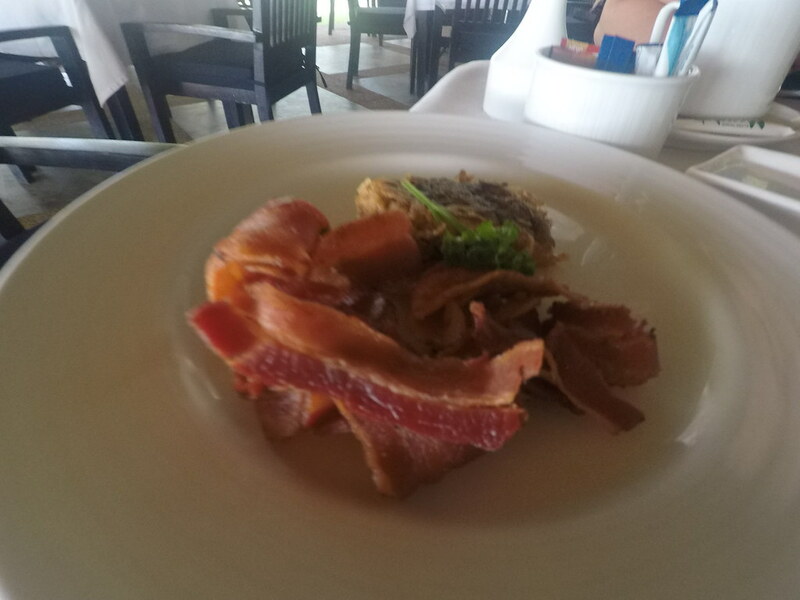 We also requested for a sausage plate with hash brown and continental breakfast plate with waffles and bacon. 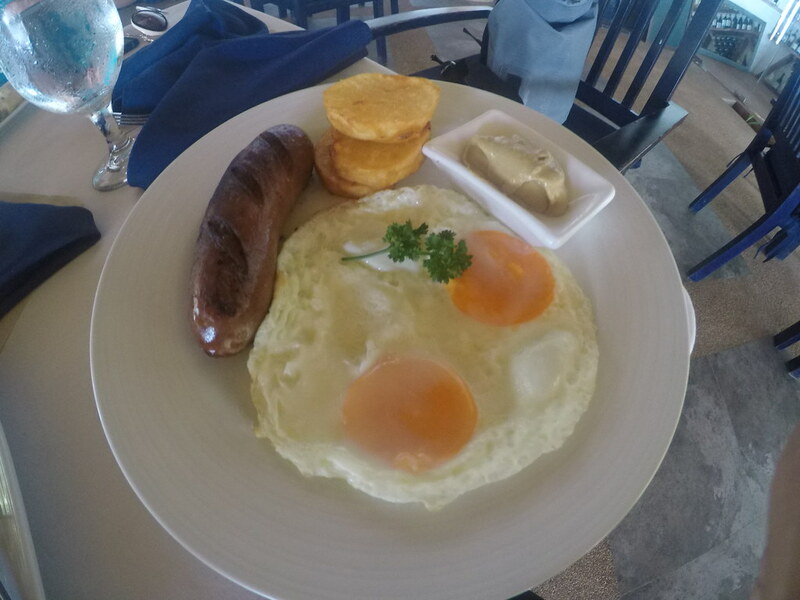 All Filipino breakfast plates come with eggs and rice but you may customize these by omitting the eggs and rice. 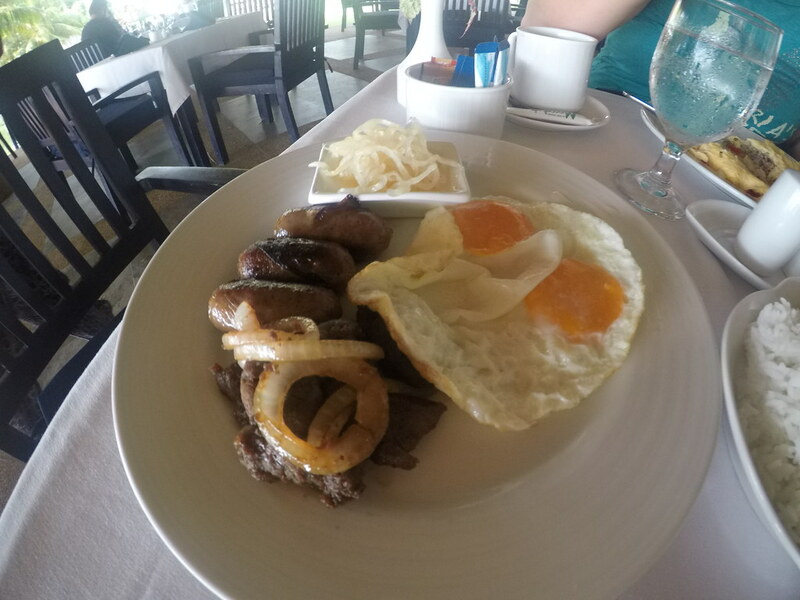 So for a plate, you can have tapa and longganisa, for example, and just have a single egg and no rice. Since our orders were quiet hefty already, we just asked for a single cup of rice. 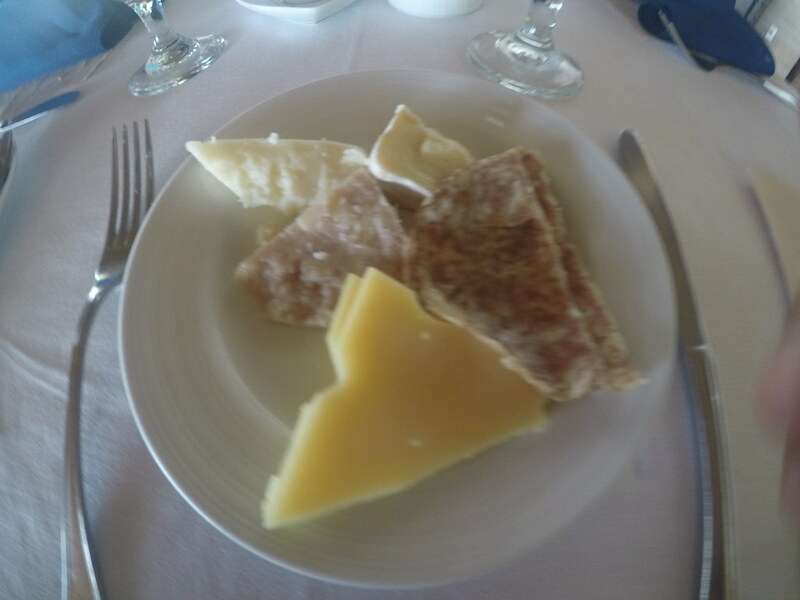 While waiting for our orders, we helped ourselves to slices of emmental, Camembert and cheddar cheeses as well as pieces of salami and pastrami. This power breakfast is so heavy, it’s enough to fuel you until dinner or if you are doing any heavy physical activity. 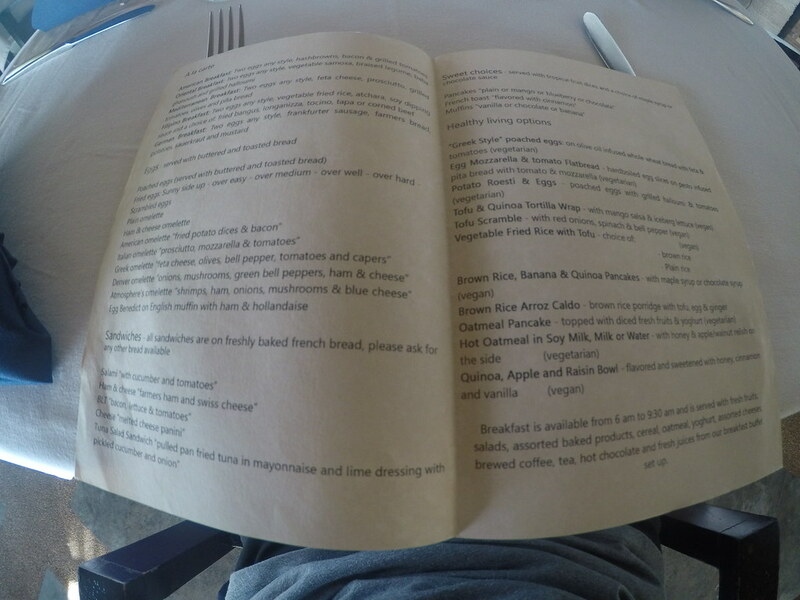 For lunch, one may choose from their signature dishes. 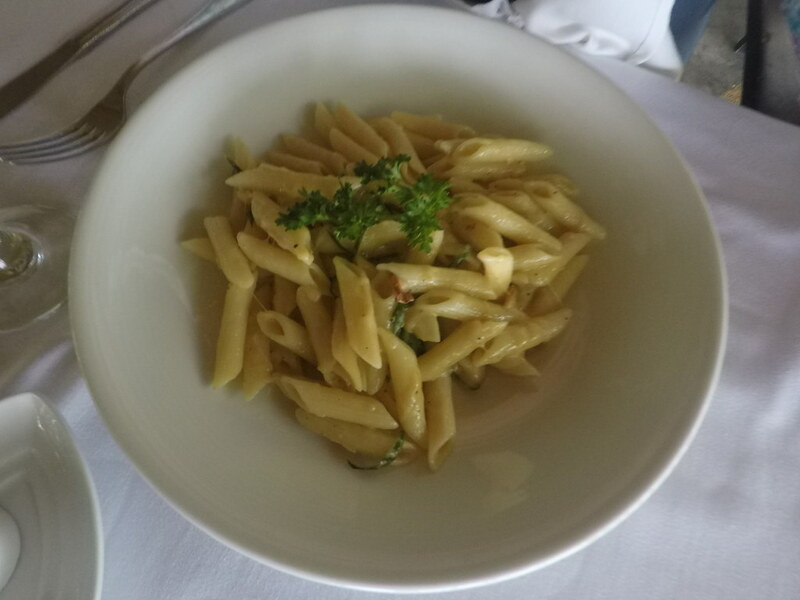 Since we had a heavy breakfast, we only opted for a light lunch of Aglio Olio Pasta and Crispy Asian Noodles with Chicken Sate. 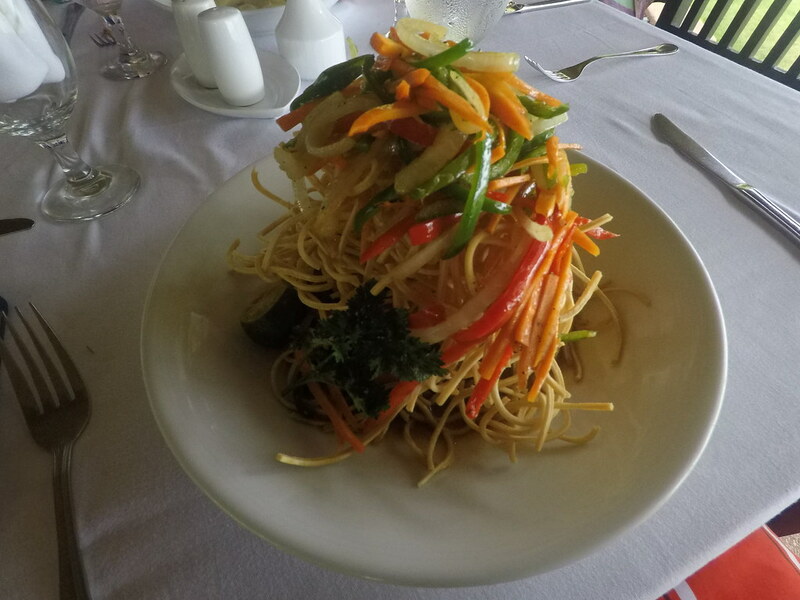 The pasta was good but we liked the crispy noodles even more because of its crunch and variety of flavors. The servings were big and good enough for two people. 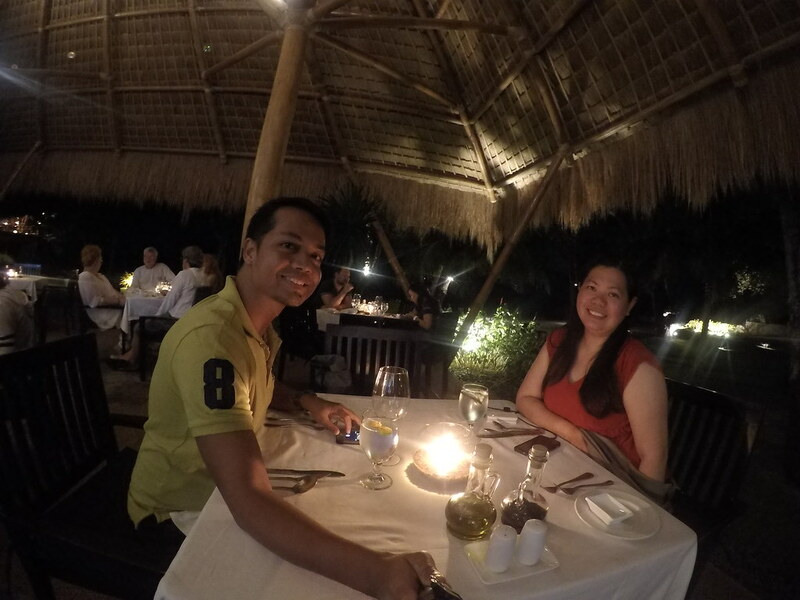 The restaurant is likewise perfect for romantic dinner dates with candle lights that provide a warm, soft glow to the surroundings. You may opt to order from their standard menu or specials for the night. We ordered Pork Adobo and Pork Bicol Express (there’s a version which uses chicken in lieu of pork). Both had huge portions; good enough for three people. The Pork Adobo was a little sweet like humba. The Pork Bicol Express, meanwhile, was mildly spicy and made even more savory with the full, creamy flavor of coconut milk. 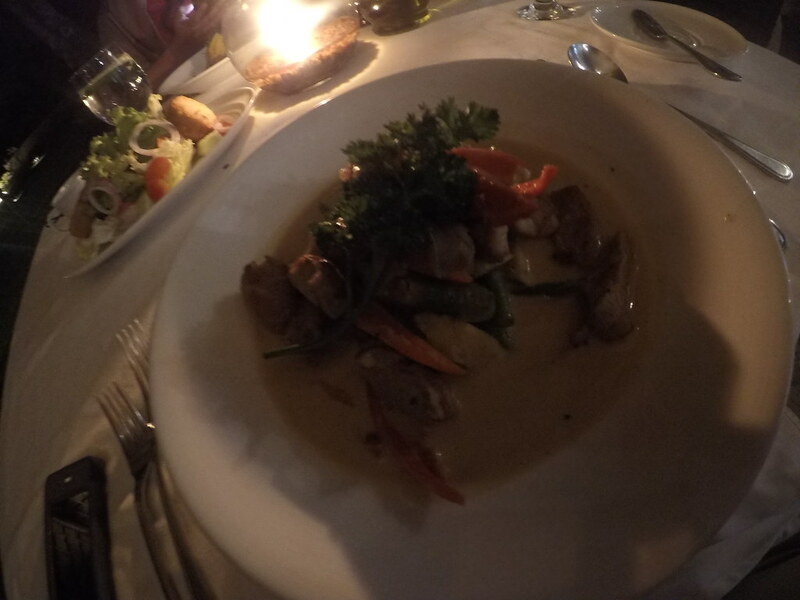 Between, the two we enjoyed the Pork Bicol Express even more although the Pork Adobo was also no doubt scrumptious. 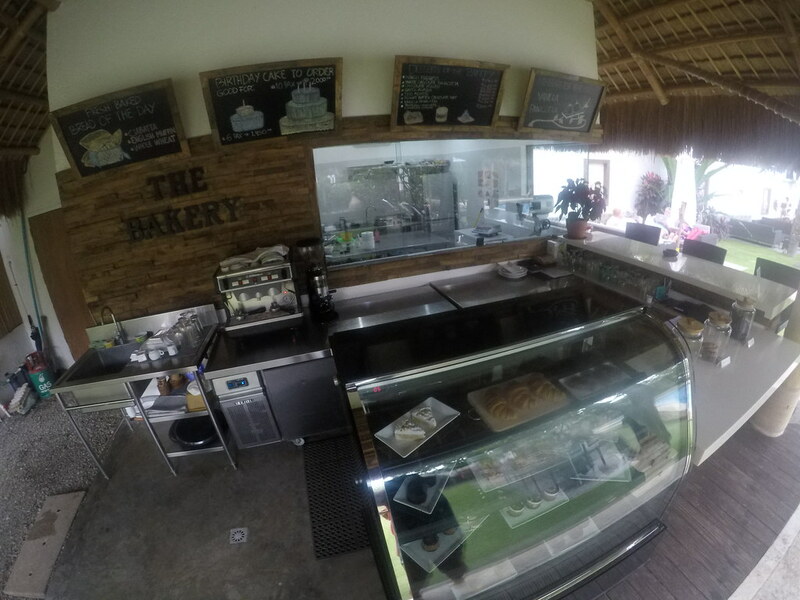 Most ingredients are sourced locally or from locations very near the resort. Milk is bought from local farmers while fish is sourced from local fishermen to ensure freshness and, of course, to provide sustainable livelihood to the people around the community. 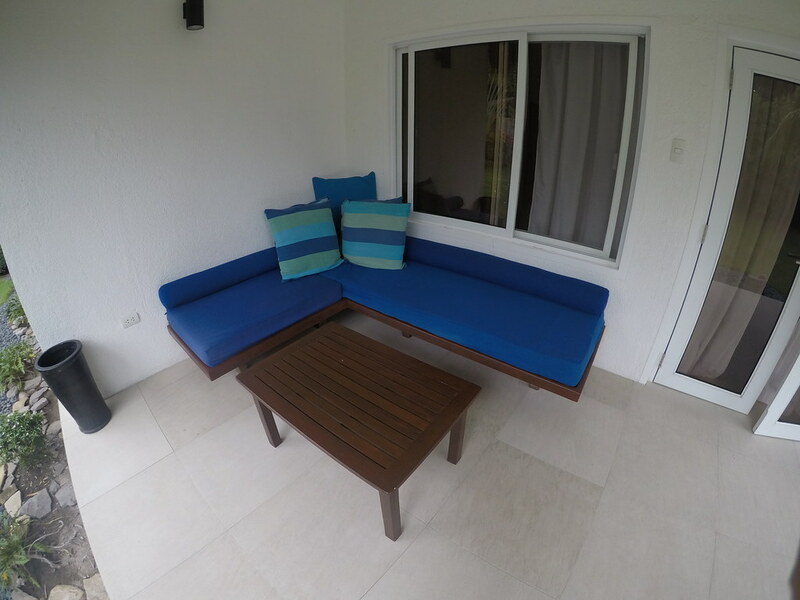 There are two swimming pools inside the property that you can enjoy throughout the day. The one beside the pool bar is used for dive training, being 9ft. at its deepest section. Be extra cautious while swimming though as there are no lifeguards on duty. 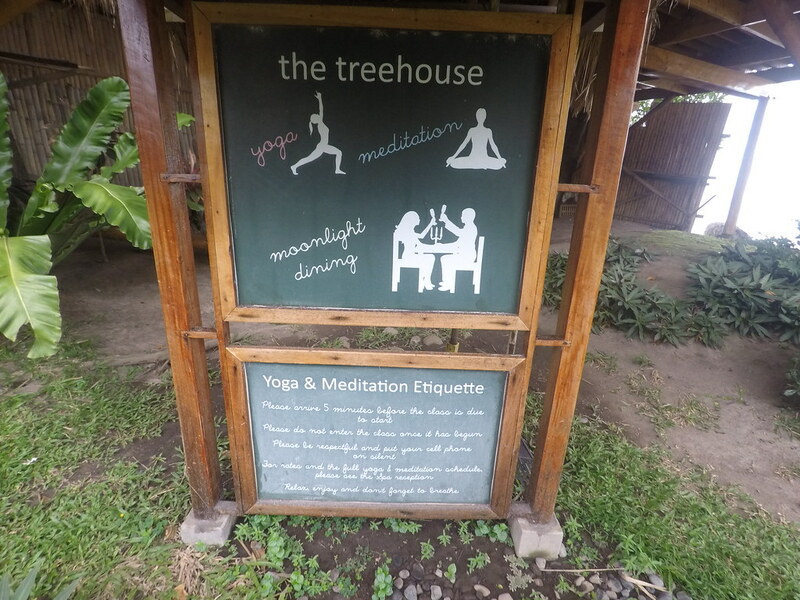 Sign up for a yoga session and enjoy the sound of the calming waves as you find your center at the tree house. 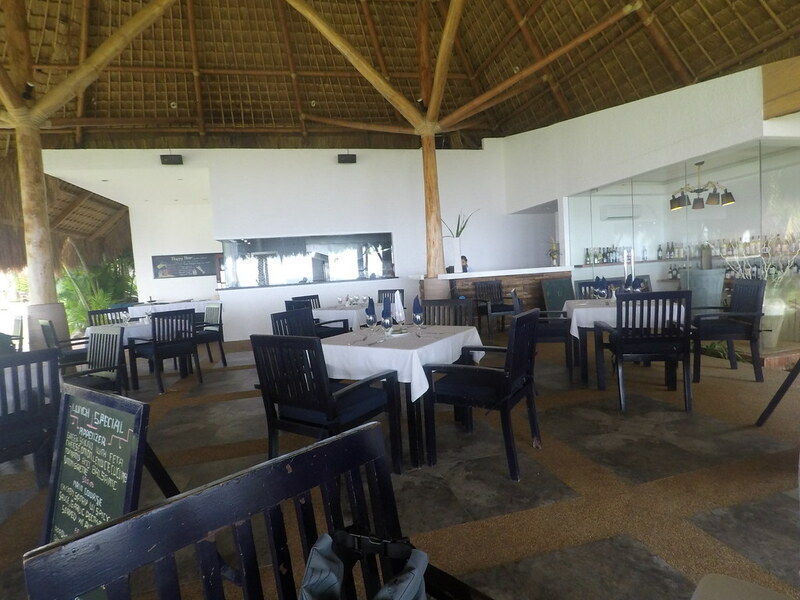 Aside from being a yoga session venue, the tree house also transforms into a fine dining spot where couples can have a romantic dinner with a view of the ocean. The tree house can house up to 10 guests only. 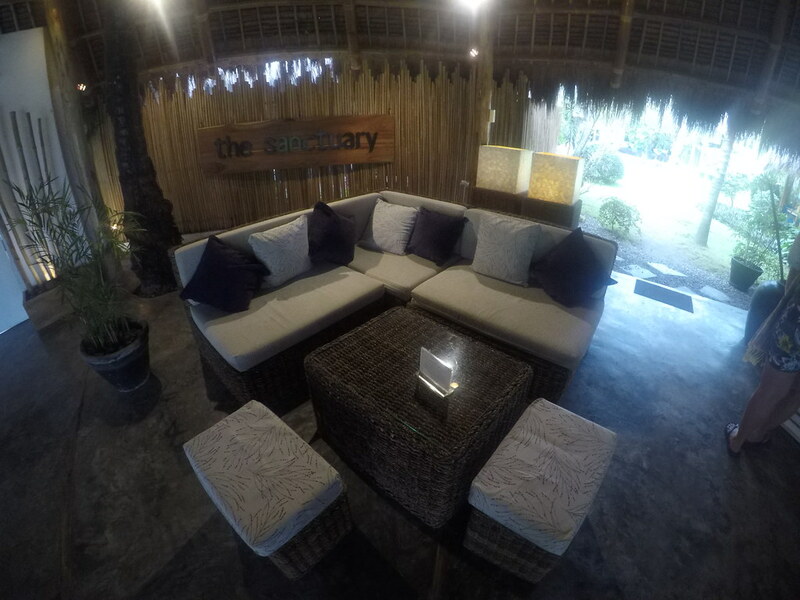 The Sanctuary, Atmosphere Resorts & Spa's in-house wellness center, offers a variety of wellness treats like massages and nail treatments. We availed of our 10-minute complimentary head massage here and the hands of the expert therapists worked wonders. 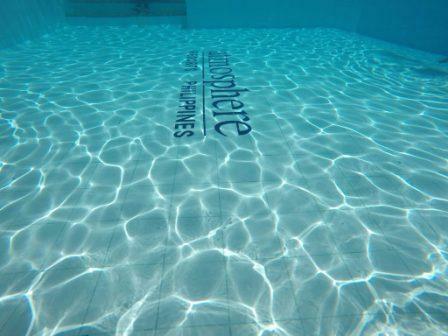 Diving lessons for adults and kids are available at the Atmosphere Resorts & Spa, courtesy of PADI-licensed instructors. For more information, you may check here. 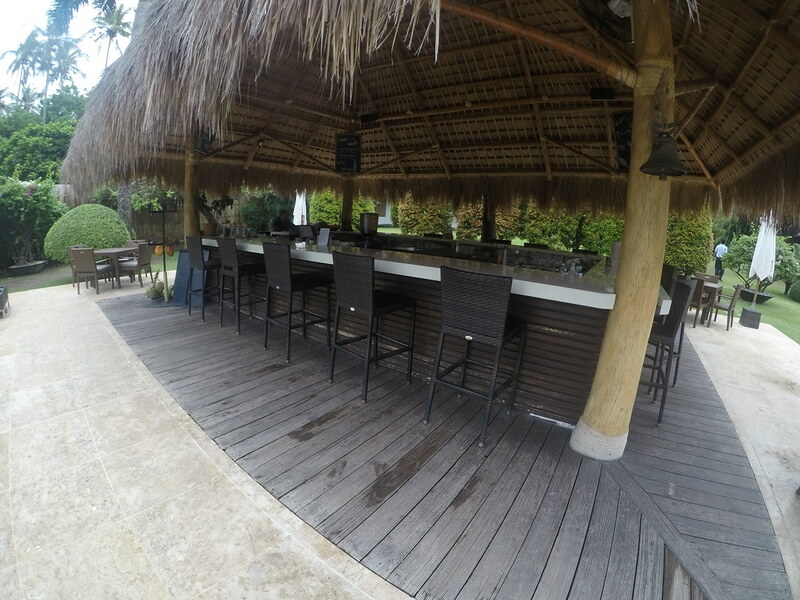 Happy Hour at the poolside bar is from 5:00PM to 6:00PM daily. During this period, you may get two drinks for the price of one. 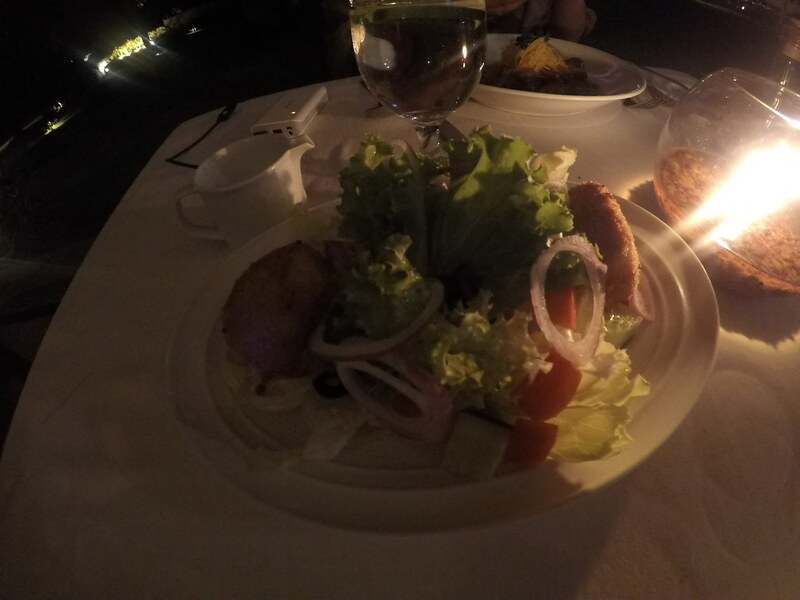 We availed of our complimentary drinks as we enjoyed a serving of fried mozzarella sticks and live, acoustic music. Unfortunately, the beach at Atmosphere Resort & Spa is rocky and the waves are strong so swimming at the beach is not a good idea. 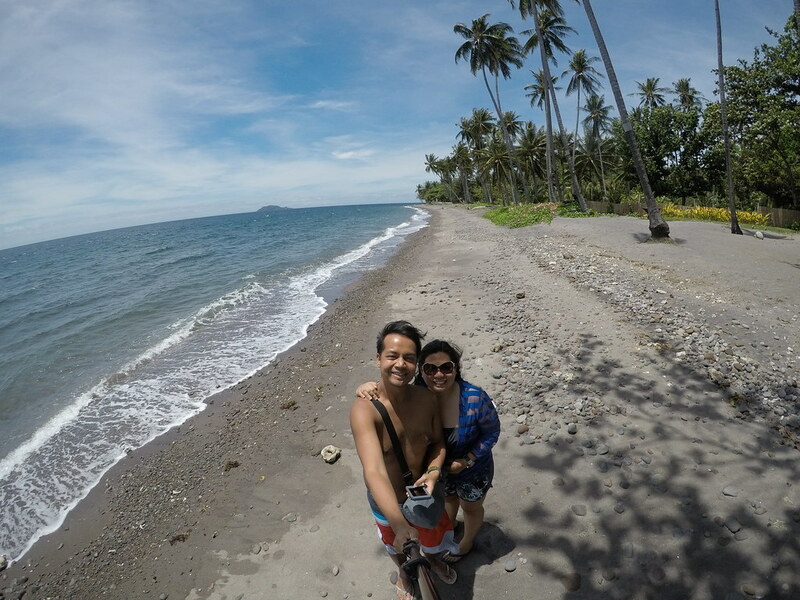 You may, however, arrange a trip to the nearby Apo Island which offers amazing beaches and good snorkeling sites. 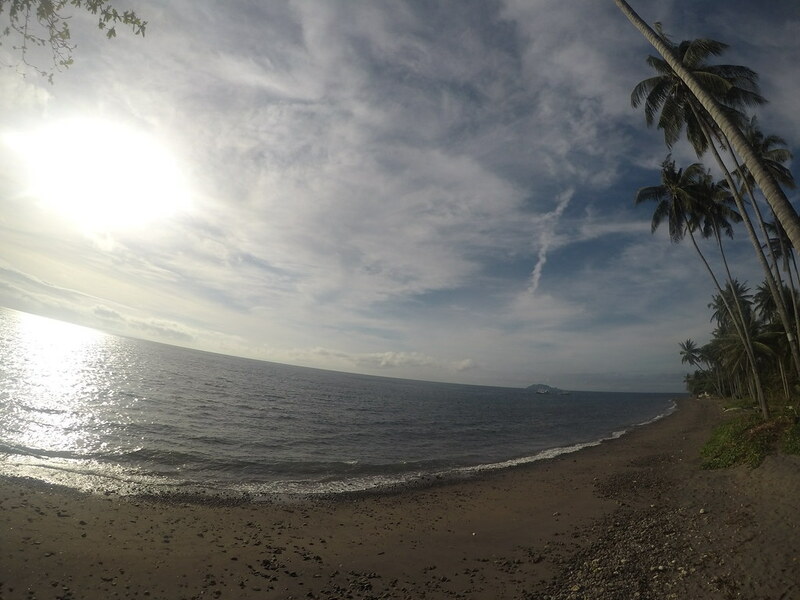 Along the fringes of the resort’s shore is a fish sanctuary when one may arrange for a snorkeling activity. 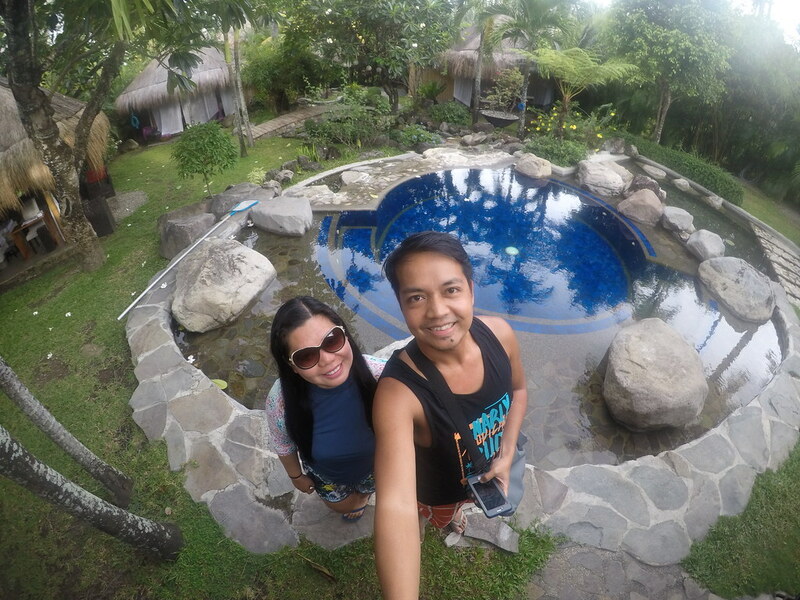 We stayed only for a night but it was already an unforgettable experience. 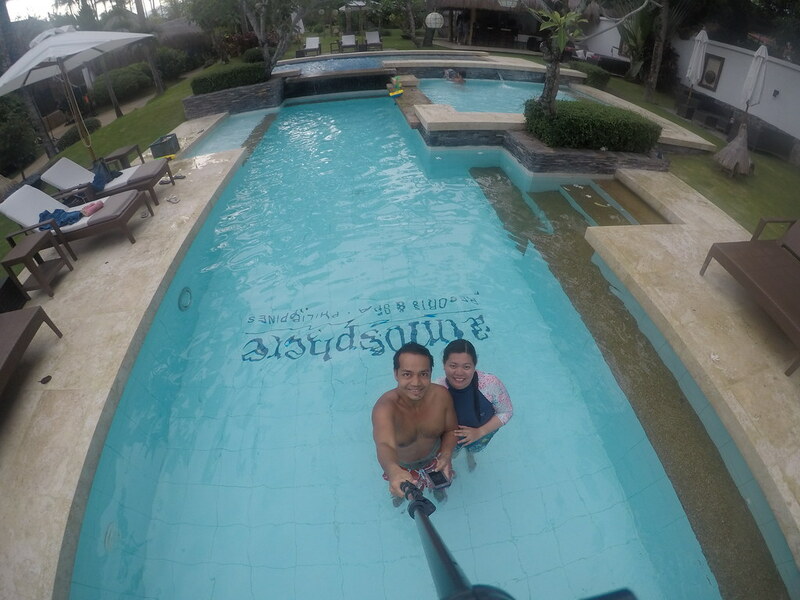 It was hard to leave this beautiful place, so given another chance, we would definitely come back to Atmosphere Resorts & Spa. 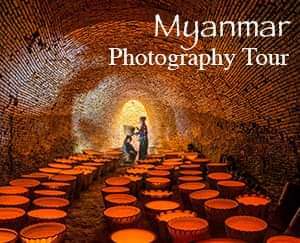 For current deals and promos, you may wish to visit TravelBook or Agoda. Thank you! It was a nice experience. Definitely a recommended resort. It's a great place indeed. Very secluded which makes it even more relaxing. Nice! I the room looks big enough for more than 2 people! The only thing I found off was the shower outside the room? I'd feel uncomfortable taking a bath there. 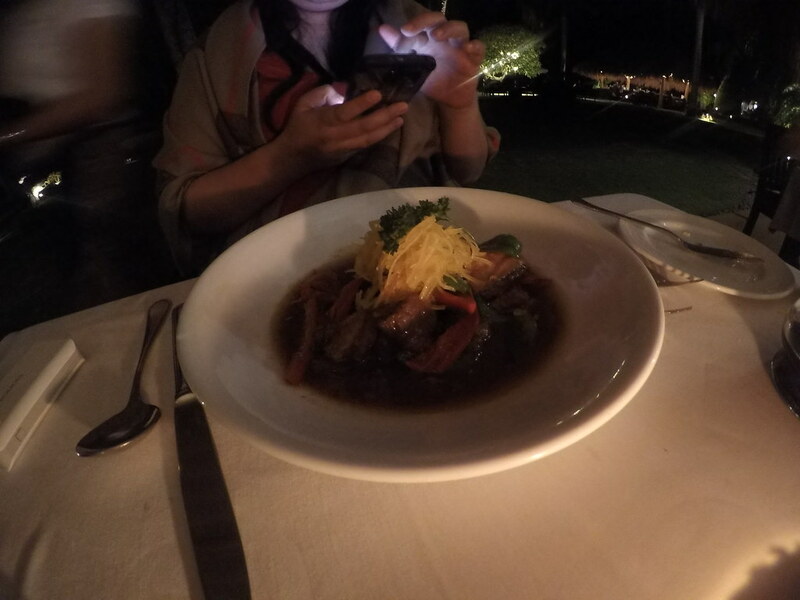 Anyway, the food looked great and the other amenities would surely bring relaxation. Thanks for your review of the place. 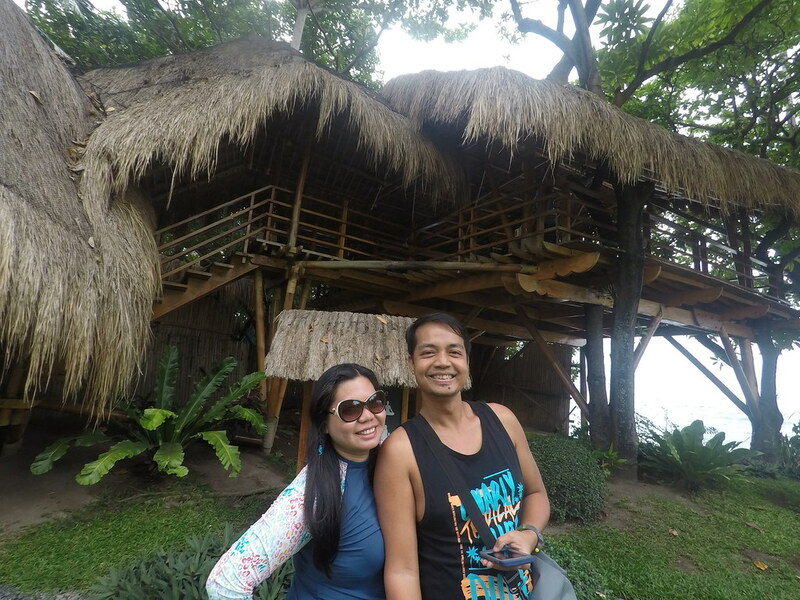 Amazing resort, I love such resorts who are in the midst of nature. 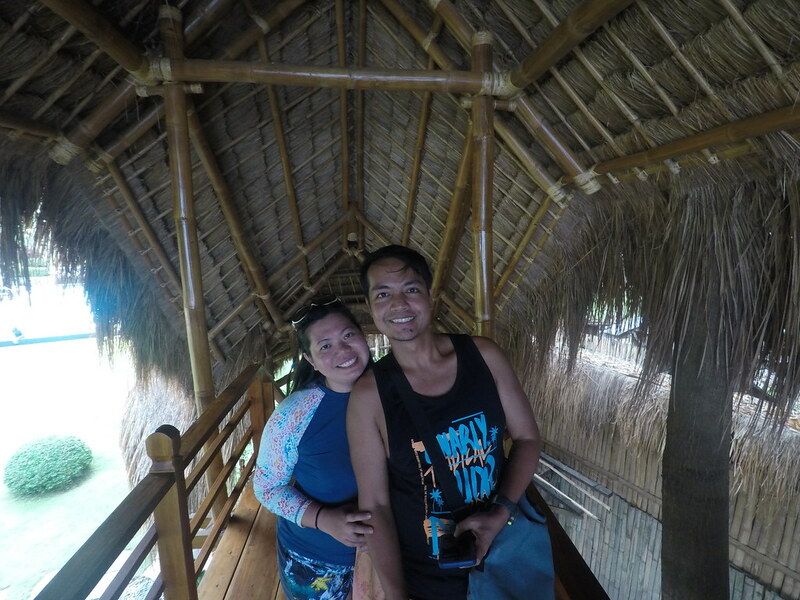 The bamboo fence looked great and added and aura of nature all the more. Also I wanted to add that I too want to be more ethical and I am a vegetarian and cruelty free blogger but I am also looking at ways that I can minimize my impact on the environment! This place seems so beautiful and peaceful. And the food looka delicious! Glad you enjoyed your stay! This looks like where my family lives in Indonesia but much much much more fancy! Looks like a oasis! Wow! 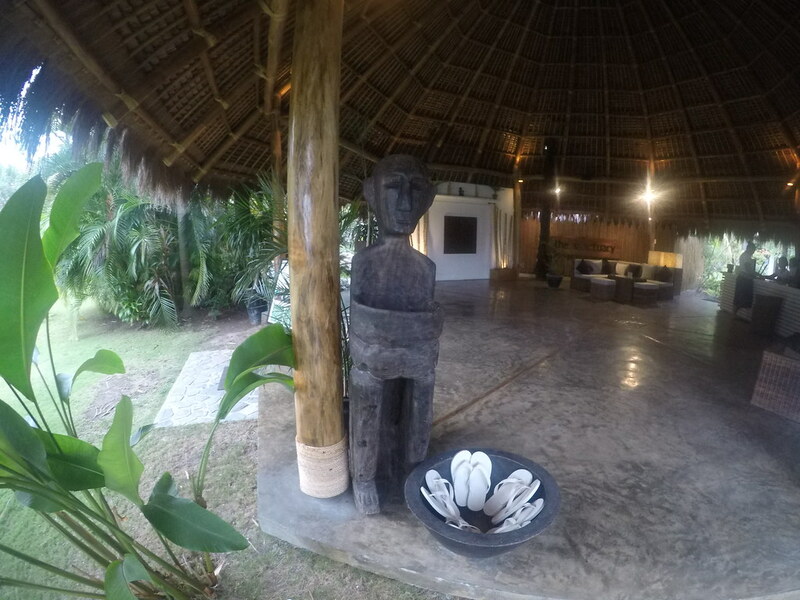 This is a very nice place and to be honest the first time I encounter a review for this spa and resort and to show how beautiful and environment friendly it is. Thanks for sharing! 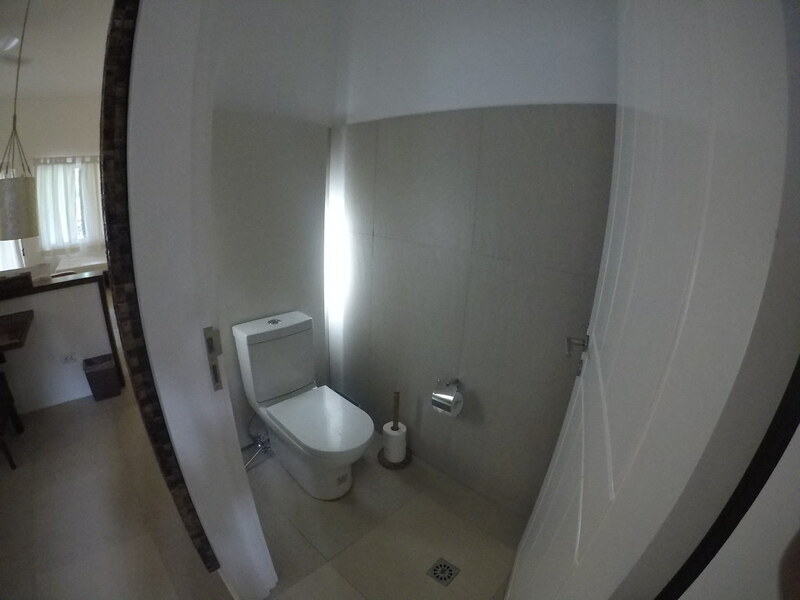 Thats is a great idea to check yourself in a more luxury hotel at the end. Its like having a vacation in the vacation! Great choise you made! Those crispy noodle must be worth going back for! It was nice, indeed. Thanks for dropping by! Yes, it was very nice. Thank you. Oh, yeah. It was amazing! Yup, the rooms are big. Thanks for dropping by!